Pope Francis made another statement of generosity and charity by allowing a displaced Belgian man to be buried in the Vatican. Homeless Belgian Willy Herteleer, who died from exposure in December, lived on the streets around St Peter’s. He was a well-known figure to many priests in the area, who bought him food and water as he begged on the streets for change from tourists. The Pontiff granted his burial within the confines of the Teutonic Cemetery, which is usually reserved exclusively for senior German clerics. Monsignor Amerigo Ciani made the unusual request to the Pope, after he forged a friendship with Herteleer. “It is without doubt the first time that a homeless person has been buried within the walls of the Vatican,” a Vatican spokesperson confirmed. The gesture marks the latest effort by the Pope to promote the rights and welfare of the poor. On his birthday in December last year, the Pope gifted sleeping bags to dispossessed Romans across the city. Showers for homeless people were also erected in public toilets outside St Peter’s square earlier this month. 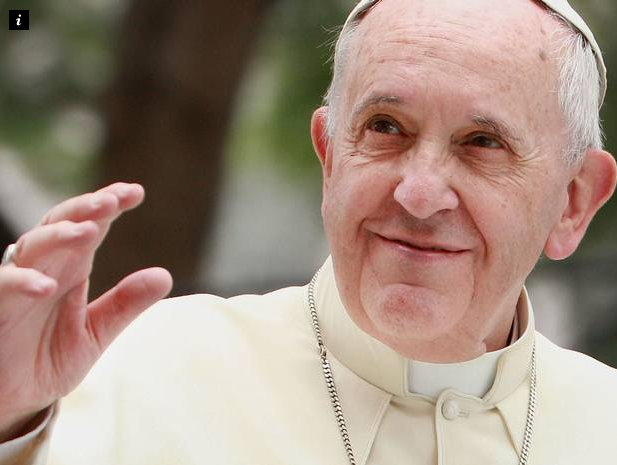 Pope Francis released an “Apostolic Exhortation” to outline poverty and economic inequality as two of the main concerns of his Papacy in 2013.